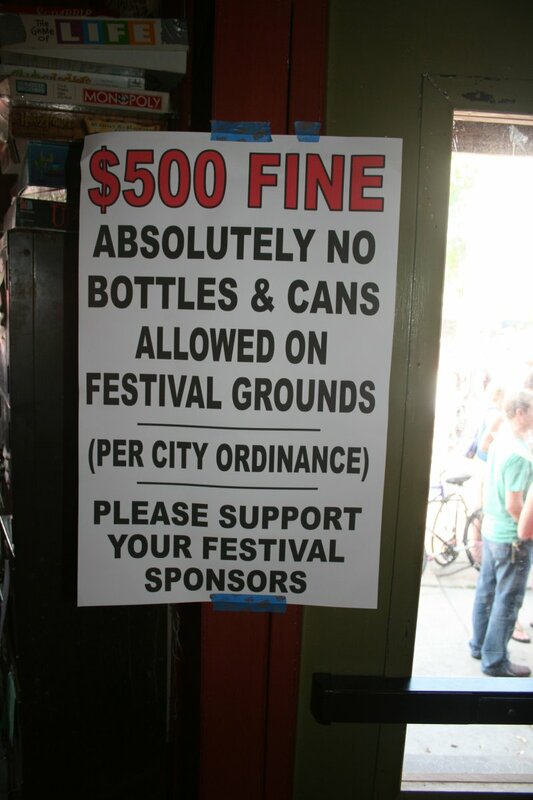 Absolutely no bottles & cans allowed on festival grounds. See inside the Riverwest Public House. Photo taken by Jeramey Jannene on June 10th, 2012. All Rights Reserved.